How to become an investor of @skydragon bot service & Earn Profits? We are opening up the platoform to allow any steemit user to become an investor of our bot and earn profits. To do so, simply delegating your Steem Power (SP) to @skydragon. 80% of bidding earning will be distributed to investors daily at 2am UTC. Profits are distributed from Steem & SBD collected from bidders for the day, NOT from bot's Steem Power. Distribution amount will depend on usage of the bot service. After SP delegation, profit will start distributing out within 2 days or less. Minimum delegation amount is 10 SP. Investors can leave the program at any time by simply undelegate the SP. SP will return to investors after 7 days. How to delegate Steem Power (SP)? Simply go to following site, it will ask you to sign in via steemconnect.com which is safe & secure. Below is the screenshot of the form. 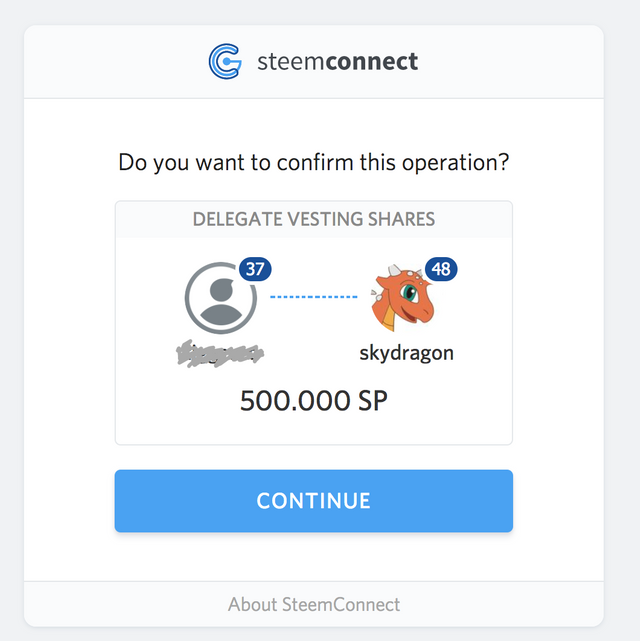 then click on 'Delegate Via SteemConnect.com' button. Enter your steem login & password on following screen. 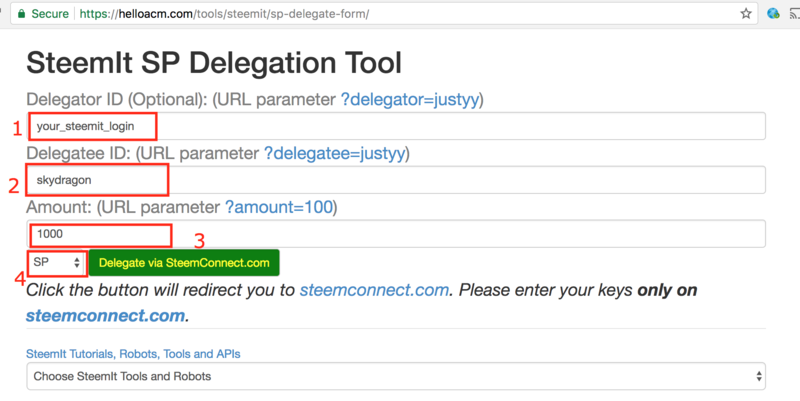 How to undelegate Steem Power (SP)? At any point, if you decide to withdraw from this program, simply using same form and enter value '0' in Amount field then follow same steps above. Another way to delegate SP is using following URL. Simply replace 'ABC' with your steem login, 'XYZ' with number of SP for delegation. It will prompt you to login. Good effort for helping minnows. Can you give an approximate value how much one will earn daily by delegating 15 SP depending on the current situation of bidding on your bot? it's hard to predict as it depends on usage of bot. Ok thank you. But I will give it a try and see how it goes. This is great profit by investing. .
nice idea, with 10sp minimum, a lot of steemians wil be able to benefit from this. Interesting. Any information or projection on ROI for this system? ROI depends on usage of the bot service. I have tried to get my delegation back by following the instructions you provide but nothing has happened. Pretty sure it's been more than 7 days. Can you check on this for me please. Thanks. It's been undelegated. No showing in my account any more. Please give more time. So I've delegated mine. How do I make profit? Next profit distribution is upcoming 2am UTC. payout is daily. Looks like you've had this going for a few days now...what's the average amount delegated...and do you have any early ROI numbers...averages for 10SP, 50SP, 100SP, 200SP, 500SP...?